Despite having graced the big screen for years, Randy’s Donuts is finally making its way to Hollywood. 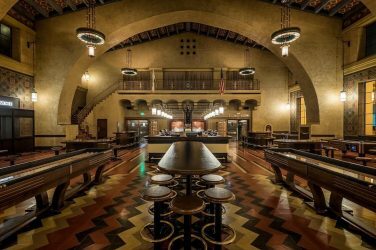 The shop’s newest location sits at the bottom of Hollywood & Highland, right in the center of all the hustle and bustle. 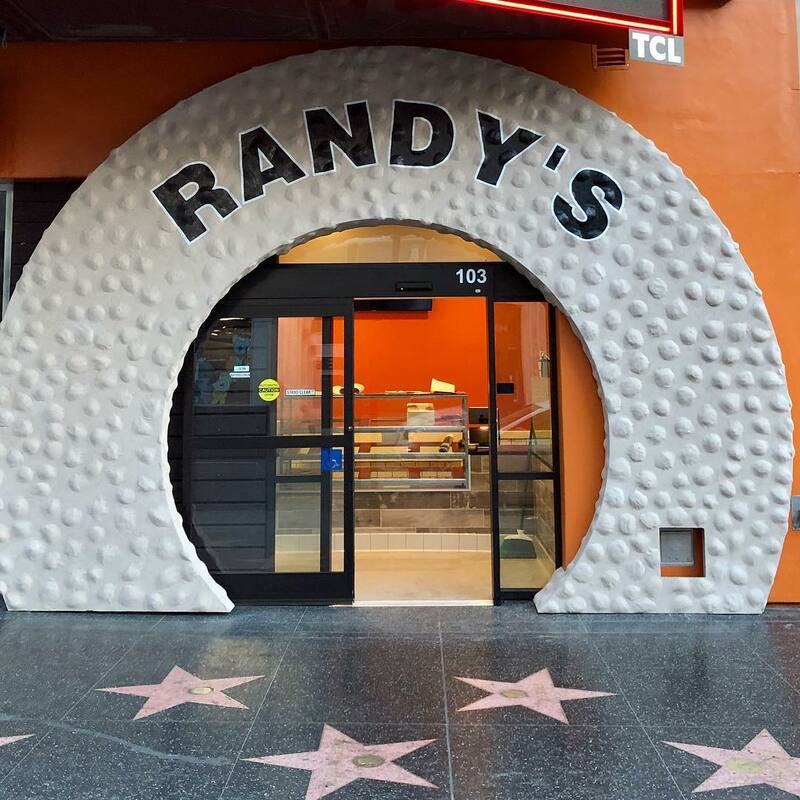 It’s only fitting that a special donut is made for representation considering Randy’s sits along the Walk of Fame! 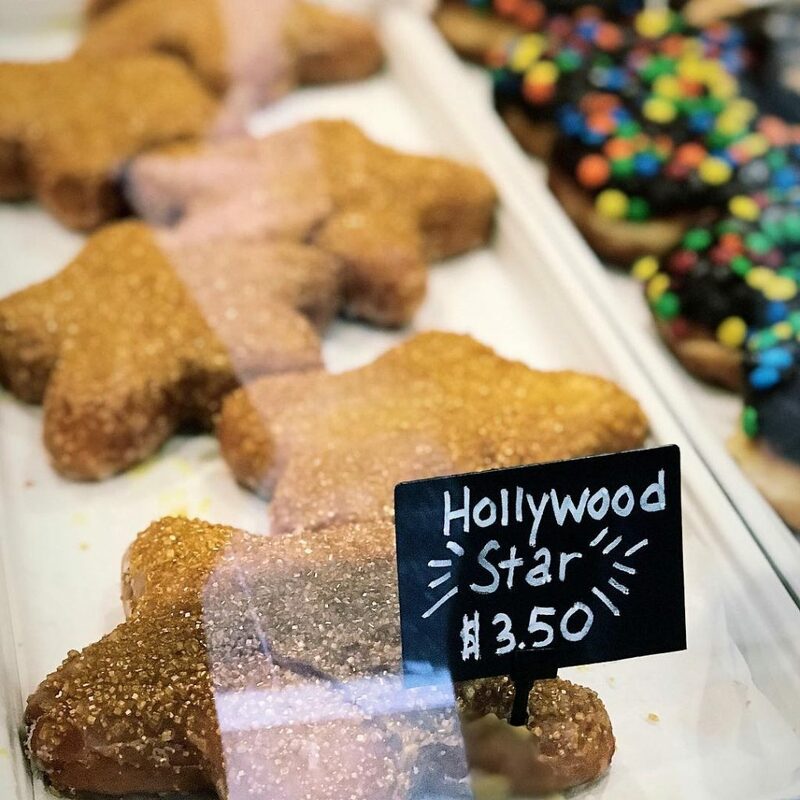 The Hollywood Star-shaped donut is covered in dazzling gold glitter and can only be purchased exclusively at this location. 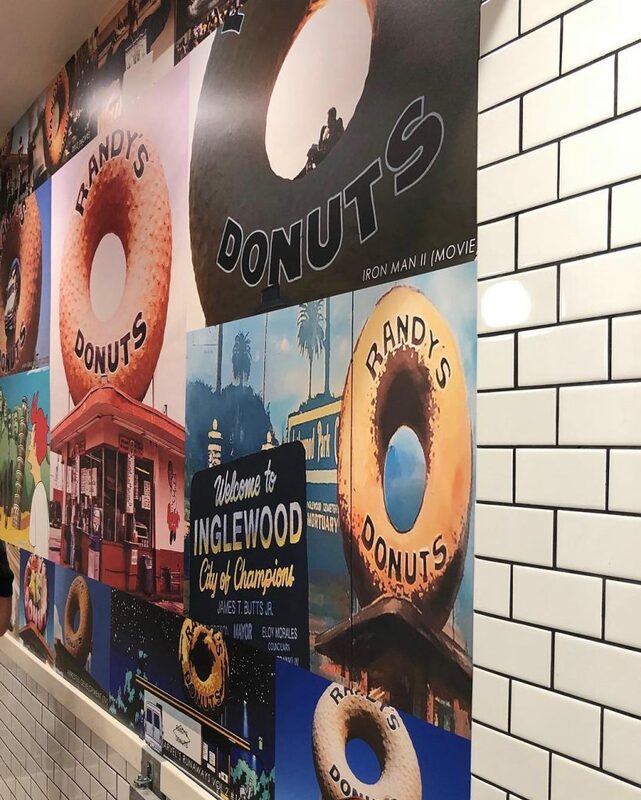 Though you won’t be able to snap in a picture in front of Inglewood’s legendary giant donut, guests can walk through an 18-foot-wide doughnut-shaped entrance. 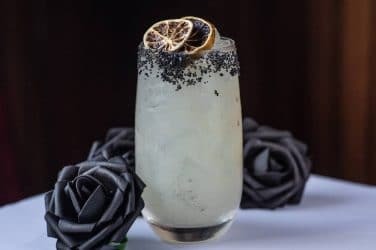 This new location is all apart of Randy’s recent push to expand – in addition to the OG spot, the doughnut chain welcomed a Westfield Century City and El Segundo location to the family earlier this year. 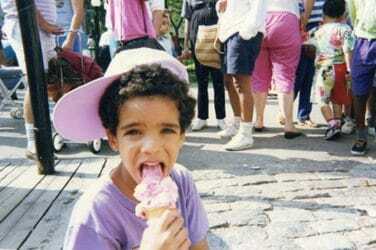 Location: 805 W Manchester Blvd, Inglewood, CA 90301. See it on Google maps.